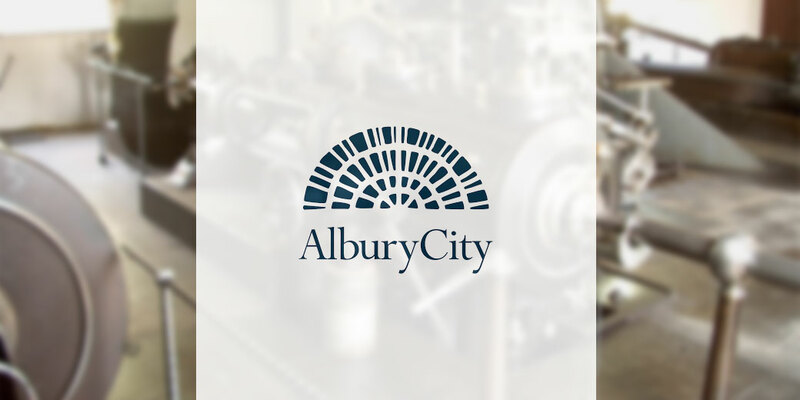 Albury City Council supplies drinking water to 55,000 residents of the southern NSW regional city of Albury and the surrounding Greater Hume Shire. The millennium drought highlighted limitations in the ability of Albury’s two direct filtration water treatment plants in meeting targets for water production and potable water quality during periods of poor raw water quality. To ensure security of the city’s potable water supply, the Council had two choices – construct a new plant or upgrade the existing ones. It chose to undertake the staged upgrading of the two existing plants, with Plant B the first to be upgraded. ​Completing the installation of a major systems and equipment upgrade over 8 months while keeping the filtration plant operational. ​Rockwell’s Automatic Device Configuration and Firmware Supervisor. ​Red Lion Data Station Plus to communicate with MCC power monitor, air compressors and existing PLCs over serial and Ethernet networks. ​8 DAFF filters from a common water supply header. Winning the 2017 NSW NECA Excellence Award, Industrial – Small Project category. 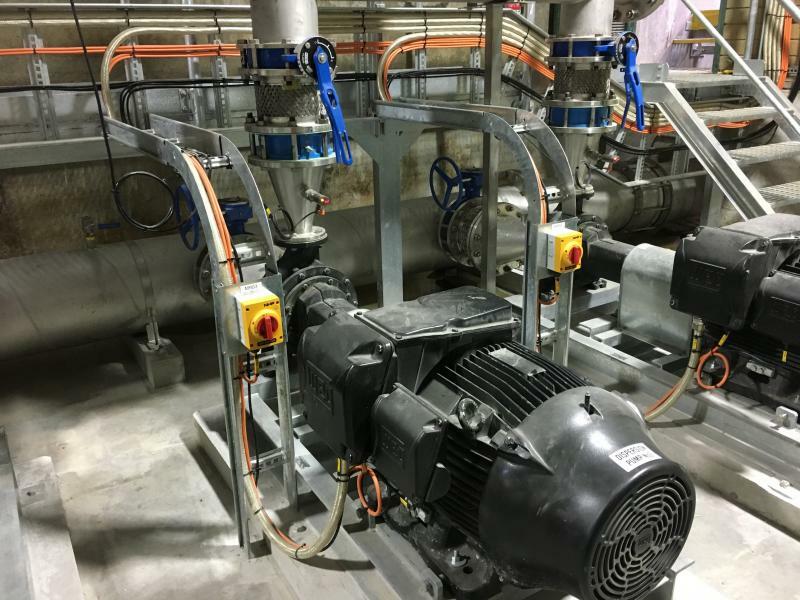 ​Replacing its direct filtration system with In-filter Dissolved Air Flotation Filtration and DAFF recycle systems. RIC Electrics’ Director, Adrian Burton supervised the eight month-long project. It was the first time several project managers from various divisions of the company combined their expertise to oversee a water filtration plant project. “RIC Electrics and WTA have a long history,” Mr Burton said. “We’ve collaborated on around 20 water projects in as many years, which made us a trusted choice as their project partner. “It was a huge task to maintain the city’s water supply with minimal interruption to water filtration and treatment while we carried out the construction, testing and commissioning phases. The project was the first we’ve undertaken with multiple DAFF filters from a common water supply header, where the behaviour of one filter can impact on the others. We had to carefully tune and monitor the controls to ensure the entire system could run smoothly and recover quickly from any disturbances in the river that might impact on water quality”. 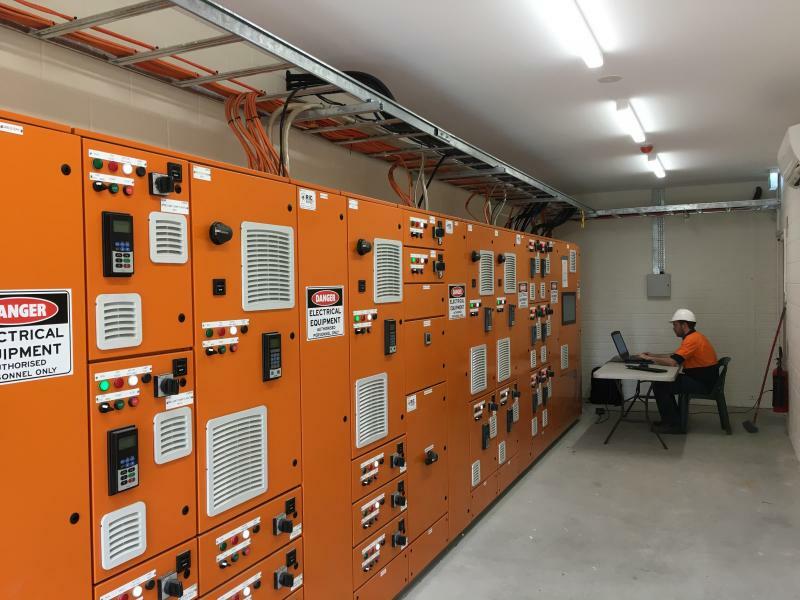 Albury City Council engaged external engineering consultants to conduct Factory Acceptance Testing of the plant’s new Motor Control Centre before it left RIC Electrics’ Wagga Wagga workshop. The consultants found the team’s work to be of such a high standard, it was nominated for – and subsequently won – the 2017 NSW NECA Excellence Award in the Industrial – Small Project category. Ben Falconer, Albury City Council’s Water Services Team Leader, said the electrical side of plant upgrade involved major challenges. ​“It wasn’t simply a matter of keeping the plant operating,” the engineer said. 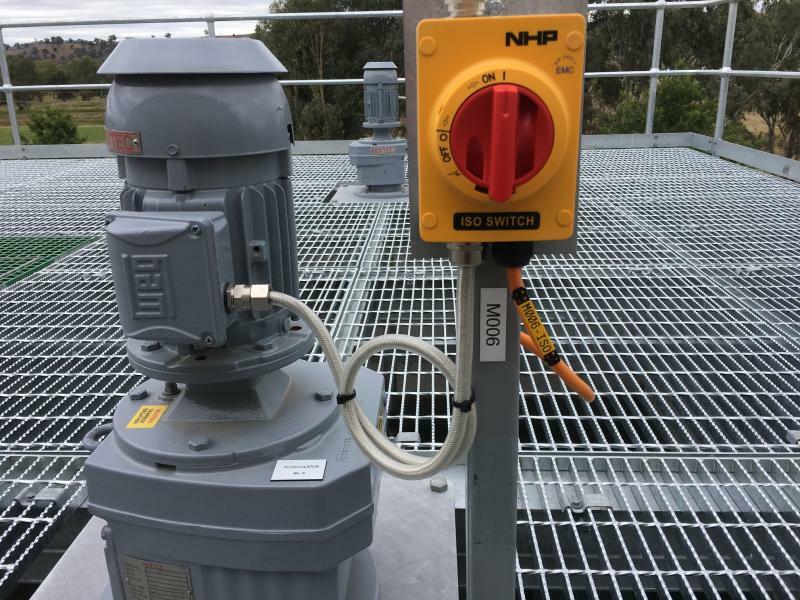 “We needed to be able to continue producing and supplying residents with water that met the Australian Drinking Water Guidelines (ADWG)”. 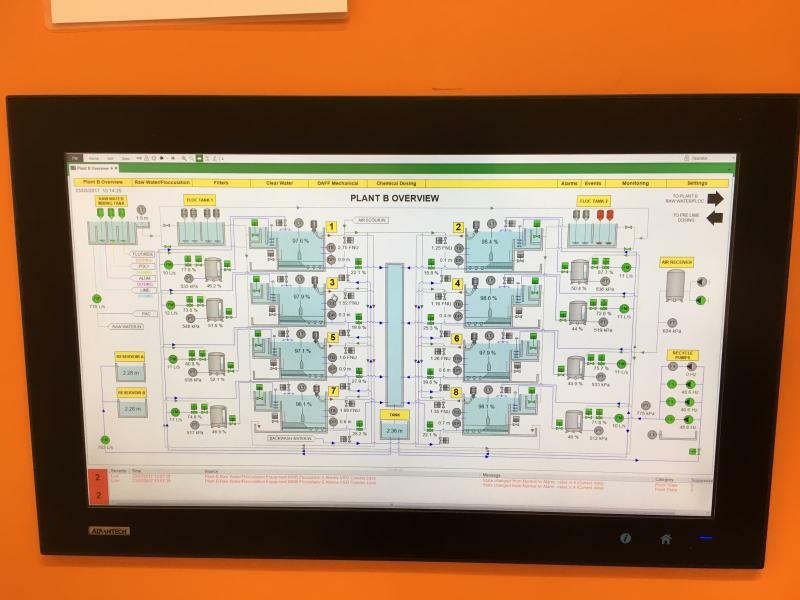 “Another challenge was that the two plants had different PLCs and control systems, and the plant being upgraded was built on a platform that was 26 years old. RICs did an excellent job of integrating the new equipment with the old. “There was really good communication between RIC’s team and ours. They helped us meet our water production and quality targets throughout. RICs gave us plenty of notice when their work took the plant offline and the unforeseen problems that cropped up were resolved quickly. 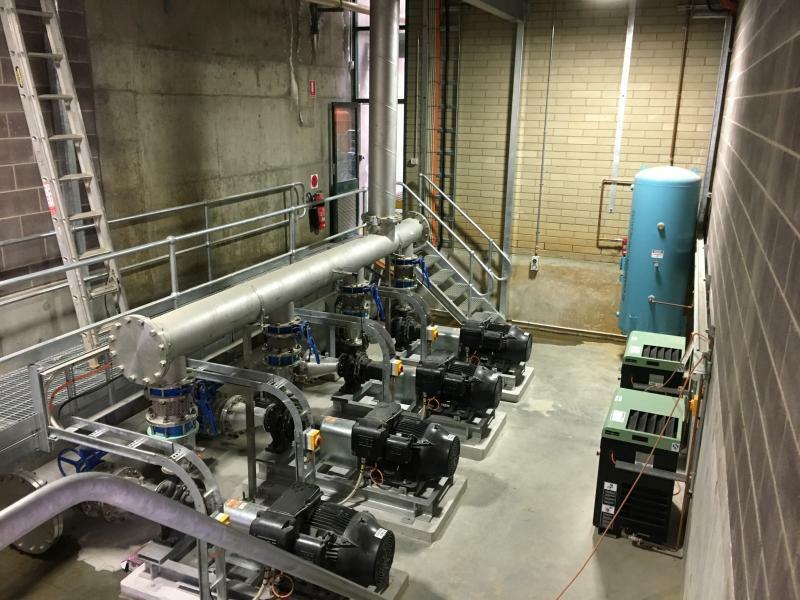 Completed in 2017, the plant upgrade was the first step in migrating Albury City Council’s water treatment and reticulation system to ClearSCADA. For the Council, the brown-field upgrade achieved a more efficient plant at a significantly lower price tag than the cost of a new facility. The plant operators are able to monitor and collect data much more effectively and easily – even remotely – from any location using a PC or smart device. Having remote access to the network allows RIC Electrics’ programmers to provide 24-hour support while the members of Council’s Water Team familiarise themselves with the full capability of the system. For the residents of the busy border city and its thriving rural districts, the upgrade ensures a more consistent supply of high-quality, safe drinking water. ​If you have a project similar to this then RIC Electrics' can deliver a one-stop turnkey solution.